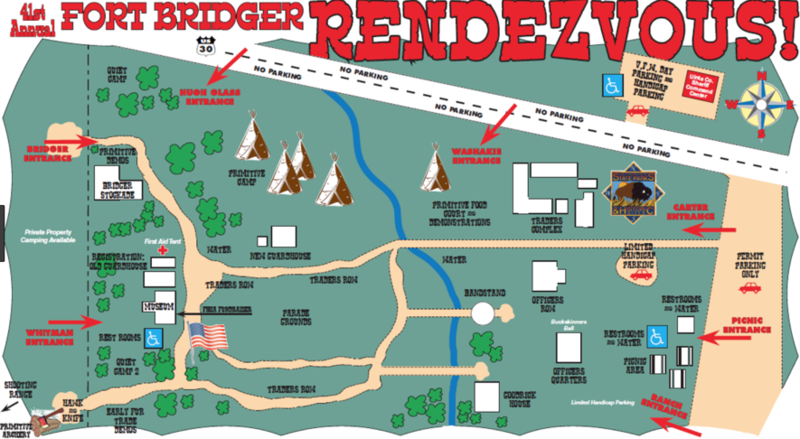 One of my dreams, you could say one of the few things on my bucket list, is to go to the Ft. Bridger WY Mountain Man Rendezvous and that is just what I am doing starting today. I have packed up my uRV and will soon be on the road for the 1400 mile trek. The rendezvous is this coming weekend. I will be there on Saturday and maybe stay through Sunday. This will be the farthest I have gone with my 120,000-mile custom made camper in quite a while. On the trip back and forth I will be dry-docking at Walmarts along the way but will have a full facility RV camp during the rendezvous days. I also plan on visiting the Stuhr Museum of the American Prarie in Nebraska. I have been to quite a few rendezvous-type encampments but this is the grandaddy and biggest of them all. I have imagined that in a previous life I was a mountain man. My all-time favorite movie is Jerimiah Johnson. I don’t know if that is cause or effect but it doesn’t matter. I love the Rocky Mountains for whatever reason. I will likely resurrect my on-the-road reports at least for a few entries for this one. So, look for them in the coming week.